These printed premium ceramic mugs are ideal for any beverage and any occasion! With 10's of thousands of original designs to choose from, you are certain to find the unique item you've been looking for. The perfect gift for your loved ones on that special day or these mugs can even be used as a home or office decoration. This ceramic coffee mug will not crack with extra hot coffee or iced tea. It features wrap-around art and a large C handle for comfort. Dishwasher and Microwave safe! Environmentally friendly, no dye substance harming health of your family. The colors on the cup won't fade thanks to new digital printing methods. It is a perfect gift idea for your husband, wife, best friend, mom, dad, sister, brother, grandma, teacher, colleague, neighbor and all other beloved ones with many of the fun and surprising designs. Customized, personalized products are very popular. As manufacturers of digital printed design products, we follow current trends and bring you the latest hot fashion products. Either a gift to your family or friend, relative or boyfriend girlfriend, or to yourself, the item should be interesting and authentic. The digital images we display have the most accurate color possible, however due to differences in computer monitors, we cannot be responsible for variations in color between the actual product and your screen. 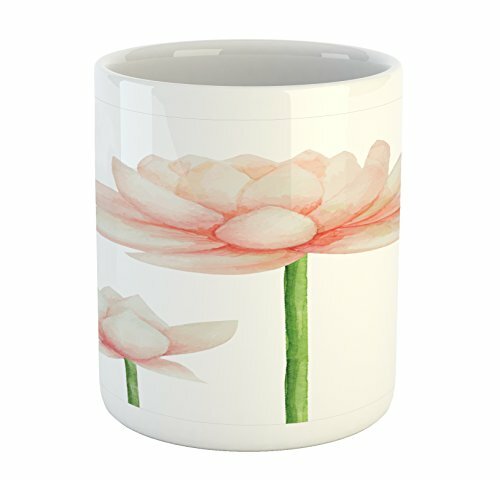 11 OUNCE CERAMIC COFFEE MUG - %100 White Glossy Ceramic. Size: 3.6" height & 3.2" outside diameter. FEATURES - Wrap-around printed art and a large C handle for comfort. Highly unique. Versatile. FUN. MADE TO LAST - Coffee mug won't crack or chip with extra hot drinks or ice cold beverages. CARE - Dishwasher and Microwave safe. Bold vivid colors & clear image. NO FADING.